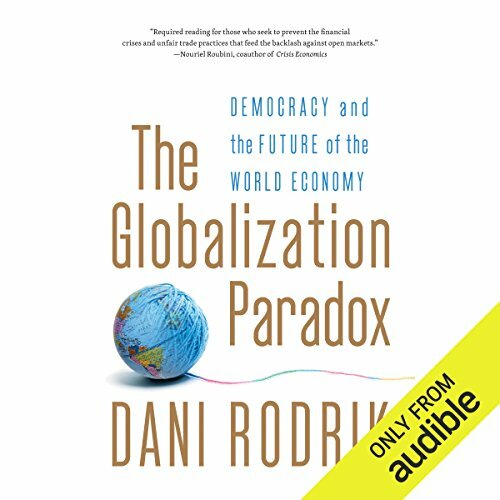 ©2011 Dani Rodrik (P)2013 Audible, Inc. I got the book because my son had just finished a class with Professor Rodrik at Harvard. I teach an intro ECON class for high schoolers so have a few opinions on the topic. He provides a sweeping view of economic history and insights into current economic trends that I hadn’t heard before...he’s like that clear contrary voice wafting our of the cacophony of economic opinion. And he provides reasoned solution options for the world economic order to move forward. Actually gives you hope we could narrow the gap and bring the least advantages nations along. This books raises interesting points that really should be part of any discussion about globalization, but it is ultimately a biased book. This anti-globalization bias can be seen all over the book, but becomes quite apparent on chapter 7. In this chapter the author argues that well read econonists who know a lot about a lot of things (like the author) argue against globalization, while more dogmatic and pundit minded ones (called hedghogs throughout the chapter) are the only ones who argue for globalization. This argument is soon followed by the tale of how pro-trade economists only think the way they do because they were following the fashionable trend of supporting trade, but fails to acknowledge that anti-trade economists may suffer from the same bias in a world that is becoming more protectionist by the day. These are only the 2 most obvious case of the book biases. Again: it is a good book, but biased. Readers beware! A book challenging the status quo. Only if Democrats had read it. Unrestricted labor mobility is a tough ask whichever way you construct temp visas. Basically, this is Rodrik's explanation of his new system for globalization. It is really well written and well performed.